Whilst checking today’s date in my diary I noticed that it’s Waitangi Day in New Zealand, a commemoration on the other side of the world which immediately replaced the content that I’d previously intended to share here today! Waitangi Day was made a public holiday in New Zealand in 1974, though commemorations of the Treaty of Waitangi, signed on February 6, 1840, have been ongoing since the 1930s. The historic document (called Te Tiriti o Waitangi in Māori) was drawn up to establish a British governor, to consider Māori ownership of their lands and other properties, and to give Māori the rights of British subjects. And I’m mentioning it here because, as was often the case when history unfolded in distant corners of the world, Irish men were intricately involved! The Treaty stated that Queen Victoria was ‘desirous to establish a settled form of Civil Government’ and invited Māori chiefs to accept that she had sovereignty over New Zealand. It granted the indigenous people ‘full, exclusive and undisturbed possession of their lands and estates, forests, fisheries and other properties’ and guaranteed all Māori the same rights as British subjects. It’s co-author, along with James Busby from Scotland, was Captain William Hobson from Waterford, Ireland. Busby was a teacher, storekeeper, farmer, writer and local councillor in New Zealand. Captain William Hobson, a Royal Navy officer, was born on September 26, 1793 in Waterford, the son of Samuel Hobson, a barrister, and Martha (née Jones) from an Anglo-Irish family prominent in church and state. He joined the navy as a second-class volunteer prior to his tenth birthday. In 1806 William became a midshipman and in 1814 made a name for himself in the Mediterranean after a heroic battle against pirates. He was promoted to commander and in 1825 was appointed to a flotilla for service in the West Indies. In 1827 he married Eliza Elliott, the only daughter of a West Indian merchant of Scottish origin. As commander of the Royal Navy frigate Rattlesnake he sailed to the East Indies in 1835 and then to Port Jackson at the request of the Dublin-born Governor of New South Wales (Sir) Richard Bourke. Bourke was responding to requests from settlers and missionaries in Australia for protection against local uprising. Captain Hobson and Rattlesnake had already surveyed the Australian coastline (Hobson’s Bay) and made a number of hunting trips with the Aboriginals, whom he found “an inoffensive and rather an intelligent race of people”. When the Rattlesnake visited Sydney it was the finest warship the port had ever seen, and the ship’s crew was lavishly entertained. Hobson wrote to his wife about the high calibre of the colonists and the prosperity of the colony, privately thinking about abandoning his “life on the ocean wave” for a colonial posting in Australia. In March 1837 Sir Richard Bourke was warned that a war had broken out in the North Island of New Zealand between two Māori tribes. Captain Hobson was ordered to the Bay of Islands on Rattlesnake, arriving there in May. During a two-month stay he visited the main European and native settlements and went as far south as Cloudy Bay in the South Island. His mission accomplished, he returned to Sydney where he advocated negotiated treaties with the Māori chiefs. Evidently much-needed in time of trouble, he sailed with the Rattlesnake to India in August 1837 but a pending crisis in Burma passed before he arrived so he returned to England. Meanwhile the problem of maintaining law and order in New Zealand had become more urgent and some British politicians called for increased British responsibility in the islands. The British government, impressed by Captain Hobson’s previous reports on New Zealand, appointed him British Consul in December 1837. He left England with his family in August 1839 and arrived in Sydney at the end of December. In 1840 he became Lieutenant-Governor of New Zealand, in command of a detachment of British troops. With the help of James Busby he drafted the Treaty of Waitangi and secured the signatures of about 50 chiefs to the document at a large Māori gathering at Waitangi. 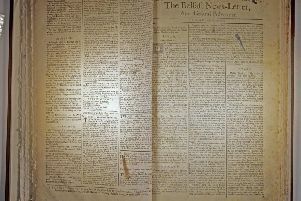 Not without its critics, the treaty was circulated throughout the North Island for further signatures and on May 21 Hobson proclaimed British sovereignty over the whole country. On July 1, 1841, New Zealand became a separate colony with Hobson as its first governor and the seat of government in Waitemata (Auckland), near the main centres of Māori and British settlement and possible sources of racial friction. Dogged by ill health, indifferently served by his lieutenants and opposed by settlers who disliked his restrictive land policy, Hobson died, sad and dispirited, on September 10, 1842, before he had the satisfaction of learning that the British government approved his administration. He left a wife, one son and four daughters, all of whom returned to England in 1843. Though often beset with criticism and opposition, historians commend Hobson’s governorship of New Zealand as very successful. “Though lacking in formal education he possessed an uncommon fluency with tongue and pen which stood him in good stead. By his courage, firmness, and irreproachable private life Hobson won the respect of all who knew him, especially the Maoris, who deeply mourned his death.